*This post contains affiliate links. If you make a purchase by clicking on them, I made a small commission at no extra cost to you. Thanks for your support! 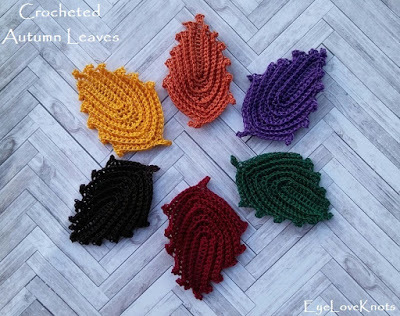 I first spotted these autumn leaves on Pinterest, and just loved the ripple design created by working into the back loop of the stitch. 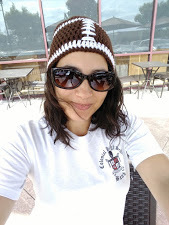 I added the pattern to my list for fall, and finally got them worked up last week. They work up quickly, and can be used in so many different ways! 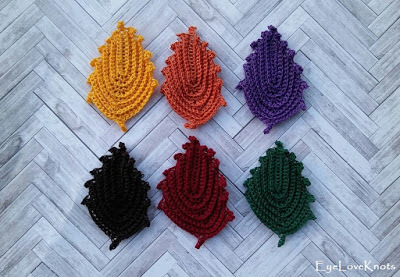 You can also work them in an a variety of colors for different projects and seasons. 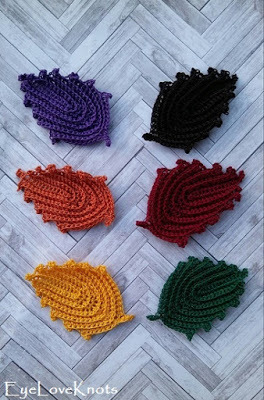 You can use any size yarn and respective hook to make a variety of autumn leaves! I was able to work each of my leaves up in about 30 minutes. I worked six of them up, and it didn’t even seem to take that long. Goes by quickly! 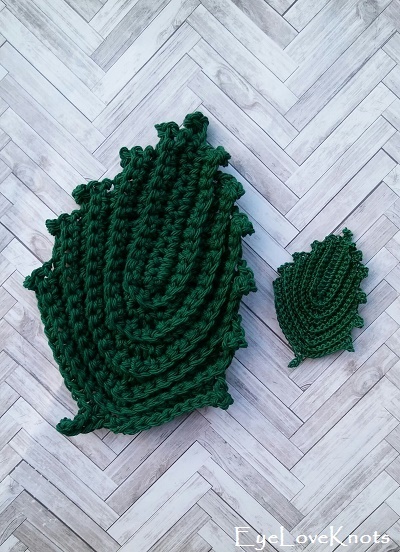 The original design is worked in a worsted weight cotton yarn, and meant to be a dishcloth. I read comments saying that everyone loved them as such, and so I set out to work up one myself. I used Crafter’s Secret from Hobby Lobby, but when I noticed the curl in the pointed edges, I knew this would not be a suitable dishcloth… Well, you could still use it as one if you don’t mind, but I don’t like it as one, and it really wouldn’t help to block it as it would constantly be getting wet and used. In the worsted weight yarn, I think they would be really cute glued to canvas to make a fall wall hanging or blocked and strung as a garland. 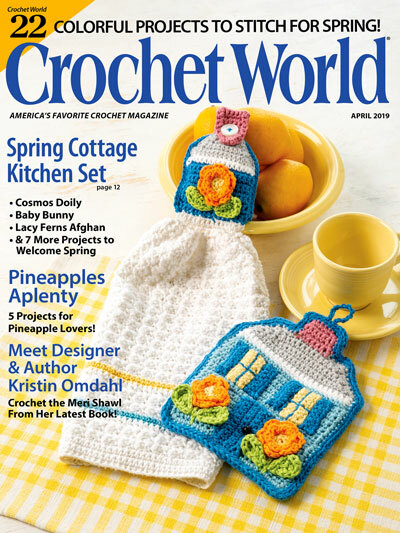 I switched from the worsted weight yarn to the #10 crochet thread afterwards, and loved how they came out! Initially, I thought they’d be small enough to use as earrings, but they still came out a little larger than anticipated. You could still apply fabric stiffener to them, and use as earrings or as a necklace pendant though. They do, however, make excellent appliques! I have a fun idea to use them in, but I will be saving that idea for next fall as I’ve already worked out my crochet projects for the next few weeks. Really though, you could embellish a pillow or card with them, glue to canvas to make a piece of art, sew to a blanket, and much more! I will say, at first I was a little skeptical of the chain three in the beginning of each row, thinking maybe the chain was wrong or the terms weren’t US, but that is what forms the points so it’s definitely correct. 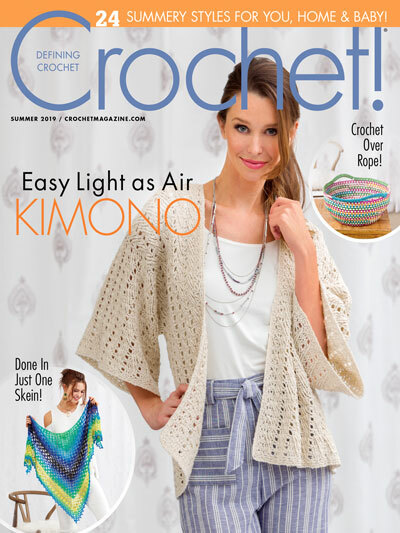 When forming the stem, I suggest working the three single crochet’s into the back bump of the chain, rather than just into the chain. Working into the back helps create an even edge. Don’t Crochet but Interested in Purchasing an Autumn Leaf Applique? Pinned this! Love your colorchoice! Thanks! I was looking for embroidery floss, but I couldn't find it so I raided my thread stash, and I love the colors I found. What a fun leaf applique! Can't wait to use them to embellish with.